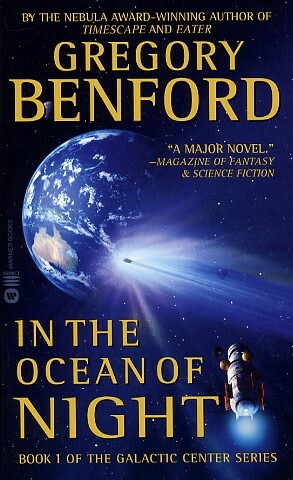 Gregory Benford is an eminent physicist, multiple award-winning author, and recipient of the United Nations Prize for Literature. Now in a new, revised edition, here is the first novel of his classic Galactic Center series, a triumph of breathtaking imagination and human drama set against an immeasurable tapestry of space, time, and evolution. 2034: Then a reply is heard. Searching for the source of this signal that comes from outside the solar system, Nigel discovers the existence of a sentient ship. When the new vessel begins to communicate directly with him, the astronaut learns of the horrors that await humanity. For the ship was created by an alien race that has spent billions and billions of years searching for intelligent life...to annihilate it.